One of the best ways to become healthier is to eat healthier! You would be surprised what some basic and easy lifestyle and diet changes can do for you! These lifestyle changes can have a positive influence on your life and also help prevent a multitude of health problems later on down the road. Many Americans get stuck in the never ending circle of poor food and portion control, and no healthy activity throughout the day. These choices can lead to heart disease, diabetes, and many other life altering medical conditions. So it’s time to skip the traditional extra-large portions of coffee, donuts, fast food, candy and cookies before it’s too late! It’s time to break these habits for good! On top dieting and exercising, Doctors of Chiropractic are also recommending patients to stop smoking and drink more water! Below, I have listed some addition tips to help retrain and restart your healthy new life! Exercise a minimum of 20-30 minutes 3-4 days per week. Try to cook your own meals instead of eating out every night. Unfortunately, most restaurants often prepare their food with large amounts of fat and sugar and have huge unhealthy portions. Make your own lunches. Keep in mind portion size, and don’t forget to add lots of fruits, vegetables, and grains. Regulate your alcoholic intake and try to quit smoking. Alcohol and cigarettes can destroy your body’s ability to absorb all the nutrients that come in your food. Try to eat your foods raw. Did you know that cooking and canning your food can diminish much of the nutrients it contains? Except for canned tomatoes, which studies show can help prevent prostate cancer, fresh and frozen fruits and veggies contain a great deal of more natural vitamins and minerals. Stay away from pesticides, heavy metals, and other toxic elements by purchasing organically grown foods. Replace fluids that dehydrate you (like coffee, tea, soft drinks, and alcohol) with water. It is recommended that our body intakes 8-10 eight ounce glasses of water per day. Monitor your tiredness, malaise, and iron levels. It’s best to have your B12 and iron levels checked at least twice a year. 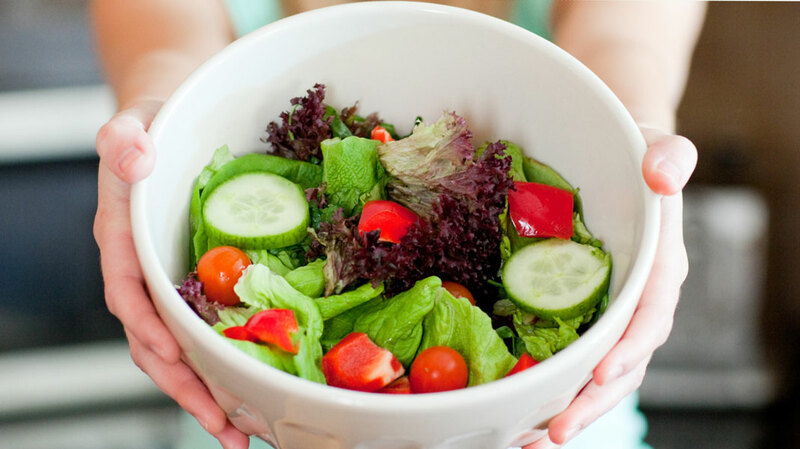 Before you give up meat, consult with your health care practitioner if you are a child, pregnant, breast feeding, or recovering from an illness. The important thing to remember about supplements is that it is not meant as a replacement of your food! You should not replace your food with supplements, but simply add them into an already healthy diet. It is nearly impossible to maintain good health by taking only vitamin and mineral supplements. If you do take your supplements properly and responsibly, you can be surprised at how great your health can improve. Also remember to intake dark green vegetables, oils, nuts, and seeds. These foods contain excellent sources of magnesium, fatty acids, and other vitamins and minerals. Always consult your health care practitioner to help decide which supplements are going to positively impact you. If you have problems with headaches, chronic fatigue, or cardiac problems, see a nutritionist and never prescribe supplements yourself.